So there is a class I am trying to get into, and apparently it’s so full that the waitlist is massive. They sent an email blast out for the first open seat on a “first to respond wins” basis. I wasn’t first. If they happen to send another email blast though, I will win that time, because this is what I am doing. Create a rule in Outlook to launch an app when the next email arrives. I used the “Subject contains” rule since it is definitely unique. Make sure I leave Outlook open since this is a client-side rule. If you use the START command in a batch file, you can specify the title of the window that is open. Since I am trying to invoke my browser, I need to specify a blank title else it will just create a cmd prompt with that URL as the title. If the URL was a little more straightforward, I could invoke it directly from the START, but in this case the URL has some interesting bits that just make it easier to keep in a separate page. Where in the blue hell is sysprep? Did you fear that Microsoft pulled the utility that you have used for generations? Me too, on all counts. I both Binged, and then broke down and Googled and could not find anyone who pointed out what is obvious in retrospect. The sysprep utility is now in its own subdirectory, and therefore no longer in your path. From your admin cmd prompt, cd into C:\Windows\system32\Sysprep and you will find what you’re looking for. Alternate title, DCPROMO is dead! Long live some little yellow triangle! I have a little no-name Bluetooth keyboard that I like to use when travelling. It has a joystick mouse with scroll, all the important keys for editing and cursor navigation, function keys, a/v keys…the only thing it’s really missing is a Windows key. CTRL+ESC is not a substitute for the Windows key, since it doesn’t work with any WIN+ shortcuts. I really wanted a Windows key. I did some digging around on the interwebz and figured out how to map the caps lock key to the Windows key. If you want to do the same thing for some older keyboard you want to use, here’s what you need to do. 2. Browse to HKEY_LOCAL_MACHINE\SYSTEM\CurrentControlSet\Control\Keyboard Layout. 3. Export that key and save it as undokeyboard.reg in case you want to go back, screw something up, etc. 4. Create a text file and copy the following into it. 6. Double click it to import the settings into your Registry. 8. (Optional) Use a silver Sharpie marker to draw in the Windows logo. 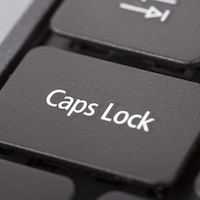 Once you reboot, the CAPS LOCK key on any and every keyboard you use will be your WIN key. Of course, that may cut down on shouting, extra emphasis, license key entries, etc…but your SHIFT key is probably a little lonely anyway. Keep that undo file just in case you find yourself really needing a CAPS LOCK key. See what I did there? 2018-01-29 edit-this works just the same and as well in Windows 10! Getting ready for my Windows 8.1 upgrade, I wanted to get some things cleaned up, and that included moving some VMs from my laptop to one of my Hyper-V servers. The Exchange server alone is about 100GB so I wanted to fire it up to delete some of the test accounts/mailboxes to trim it down to size before moving it. Unfortunately, it looks like my tendency to save everything had just about run me out of space. 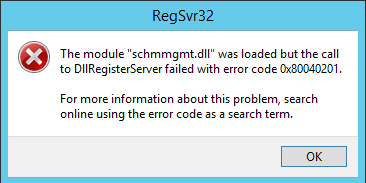 The VMs would not start! Checking on things, I found myself with only a few hundred MB of free space. I started deleting ISOs and other large files that I have multiple copies of, but was only able to free up a few GB of space. My disk was still code red! Looking for more things I could get rid of, I realized that I had a 13GB hibernation file sitting on the C: drive. Since I hate hibernation, I figured losing this would free up enough space to do what I needed to. 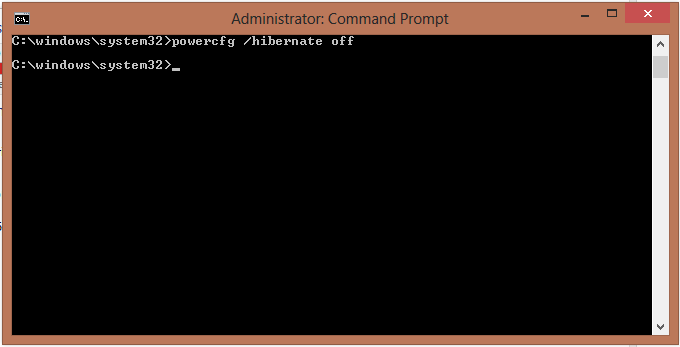 To disable hibernation in Windows 8, do this. Check to see you have more space freed up! Yes, I am still code red. I’m a hoarder (of data, anyway.) I don’t have any specific reason why I don’t hibernate…I just don’t. I may have had a bad experience in the past that I have suppressed, or maybe I just want the disk space back. Whatever the reason, I don’t mind telling my computer to go the <bleep> to sleep. When I do, I always hear myself doing it in Samuel L. Jackson’s voice.